Leslie Roark Scott started cooking competitive BBQ in 1989 alongside her father, Pitmaster Garry Roark. In 1992 she was the first female to win a Memphis in May sanctioned Grand Championship. 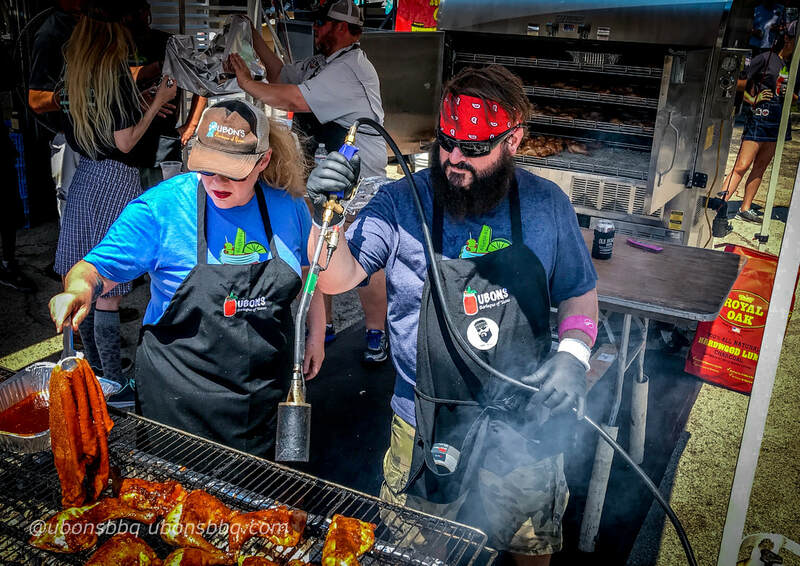 Leslie and the Ubons BBQ Team have cooked in competitions and festivals all over the country including The Big Apple BBQ Block Party, Memphis in May, The Jack Daniels World Championship, Windy City Smoke Out and Hogs for the Cause. Leslie is an owner and chef for Ubons Restaurant in Yazoo City, MS. Leslie has appeared on Chopped Grillmasters and Chopped Impossible and is a Chopped Champion. She has also appeared on BBQ Crawl, BBQ Pitmasters, Stove Tots and Smoked. Leslie and the Ubons team recently were chosen to cook at the James Beard House in NYC. From Leslie, "As the daughter of a longstanding accomplished BBQ Pitmaster I'm honored to continue our family's BBQ tradition. As the mother of a next generation bbq and grill master I'm thrilled to know that the future of bbq is in good hands. I can't wait to bring Mississippi style bbq and the Front Porch of America to the entire USA!" Connect with Leslie Roark Scott, The Barbeque Princess via Facebook and Instagram.